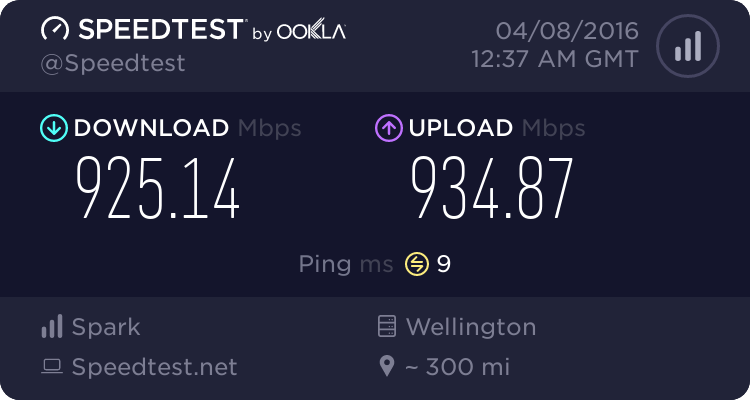 Anyone else having problems in the evenings with Spark fibre? Appears to be all traffic - local and international. 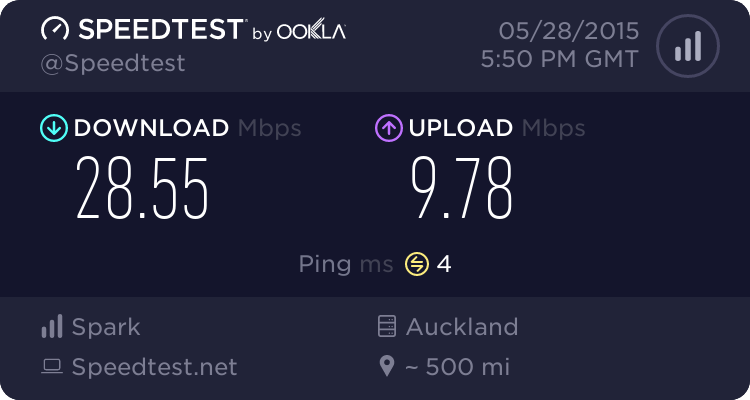 Speeds go downhill during the evening. During the day sites load much faster. The past two evenings I've been trying to download a movie from iTunes but it is impossible. It says it's going to take another 7 hours. In the past, I'd be able to watch in minutes. 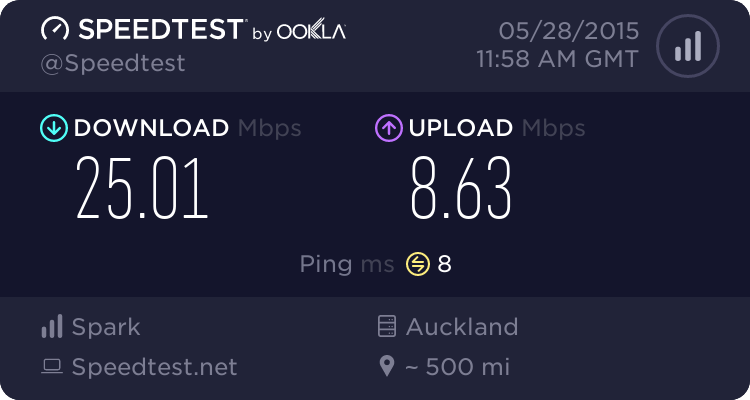 Speedtest to local server gets maybe 1Mbps - so 100KB/s if I'm lucky. Speeds fluctuate up and down. Last night, at some points was worse than dialup. I will ring Spark but just wondered if this was happening for anyone else. I'm on the North Shore in Auckland. Nope, seems fine to me. Also on the North Shore, on a 100/50 unlimited plan. Steam is currently updating at 10.2MB/sec. Reboot your ONT and Router and ensure you're not using WiFi to conduct these tests. I've already rebooted the router. I'll try reboot the ONT. Issue seems to have just resolved - not sure what the cause was but thanks for the suggestions. I have the same problem this evening, 30/10 fibre in North Shore. Takes an age to load all the parts of the page, eg. this forum page took about 1min 30seconds to finish loading completely. 6 7 ms 7 ms 8 ms ae1-10.tkbr12.global-gateway.net.nz [202.50.232. 7 9 ms 9 ms 8 ms ae6-10.tkbr11.global-gateway.net.nz [203.96.120. 6 33 ms 34 ms 34 ms xe0-0-6.sgbr3.global-gateway.net.nz [202.50.232. Speedtests are fine, but took a long time ( 2mins ) for the page to load. Now at 6am, almost exactly the same tracert results but internet is buttery smooth again. The first few hops is nothing to worry about. It is common for ISPs to deny traceroute / ping to their BNGs. But the hops after hop 4 should return the approximate response times. Also don't forget that ICMP packets get deprioritised so it's always hit and miss as to if you get an accurate time.